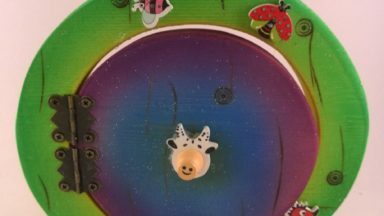 Bespoke, Original handcrafted fairy doors made to inspire imaginations, and dreams. 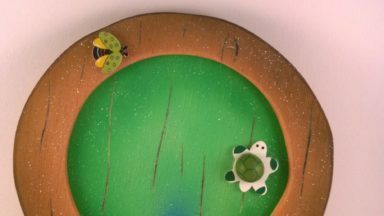 Celtic Fairy Doors is based on Ireland’s West coast on the borders of Co Galway and Co Clare and was a business that came about by chance. Little did they know that when a friend asked them to make a fairy door in October 2015 it would lead to the creation of Celtic Fairy Doors. Tony Perry and Joanna White, are a husband and wife team and in January 2016 they set up their business and the creation of the Celtic Fairy lines commenced. Tony is the artistic member of the team and has spent most of his life creating, making, building and fixing things, having worked previously for over 20 years as a Thatcher he is happy to be out of the Wild West of Ireland weather and in a workshop where he gets to indulge his passion for working with his hands and his artistic abilities. He now gets to spend his days designing products and creating them. Joanna works alongside Tony in the creative side of the business but primarily focuses on sales and marketing. Joanna has worked in the many areas of business, sales and marketing over the years, and whilst she enjoys the business side of things she has always missed the creative side, now Celtic Fairy Doors offers the chance to use both aspects of herself and she divides her time between the craft room, office and out on the road. 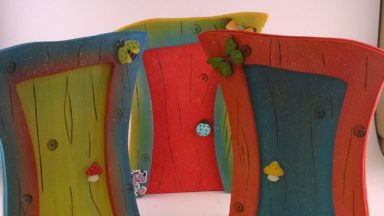 Celtic Fairy Doors are created in a craft room / workshop overlooking the Burren in Co Clare. The doors are created from pieces of timber or plywood, they are designed, hand cut using a jigsaw and hand sanded before being moved to the spraying room. Here they are individually sprayed to create a totally unique finish before being wood burnt and decorated, creating a totally original one of a kind fairy door. The doors are manufactured using as many local materials as possible, the timber is sourced from local suppliers and the paint is purchased from Irish suppliers. We try to keep our packaging to a minimum and use recycled card for our tags and labels. We attempt to keep our carbon footprint as low as possible and endeavour to be as environmentally friendly as we possibly can be. 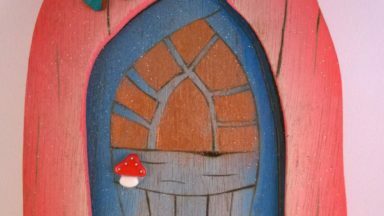 For those of you unsure of what fairy doors actually are they are small doors that you can place on skirting boards, walls, stairs, even outside on trees which allow the fairies into your home, once you have a fairy door and believe the fairies will come. Children just love to make stories up about their fairies and parents tend to use the fairies as a bribery tool, the doors all come with a small bag that can be used to exchange a tooth with the tooth fairy , as a reward bag for good behaviour or even as a way for children to express their worries or concerns. 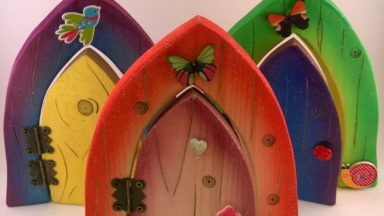 Celtic Fairy Doors are passionate about creating products that encourage imagination and a love of the outdoors and nature. 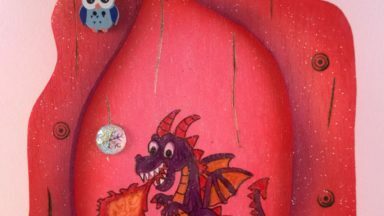 Celtic Fairy Doors sell their Fairy Doors through their own website with worldwide postage, through markets and craft fairs as well as various shops and outlets throughout Ireland. This year they will be attending fairs in the UK and trying out there first Trade fair.